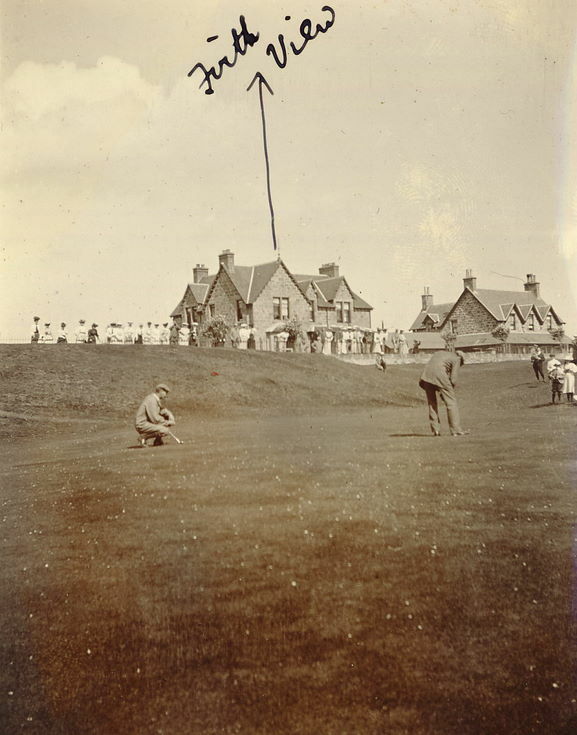 Monochrome photograph with annotation 'Firth View' indicating the location of the house relevant to the Royal Dornoch Golf Course. Ther are golfers putting in the foreground. From an album of postcards and photographs taken by Mrs J.I.C. Mackayand of Dornoch and surrounding area .